Upper Deck is always looking to innovate whether it comes to trading cards, games or collectible memorabilia. When Upper Deck Authenticated first unveiled “The Show” on the company’s online store, the signed memorabilia pieces sold well. When UDA took “The Show” pieces out to trade shows, they sold incredibly well, selling out at almost every event. There is just something about these pieces when you see them in person that makes them a collectible you just want to own. Not only do they contain a HUGE signature from the athlete, but there is a 3-dimensional effect to them that is different than any other collectible in the market. 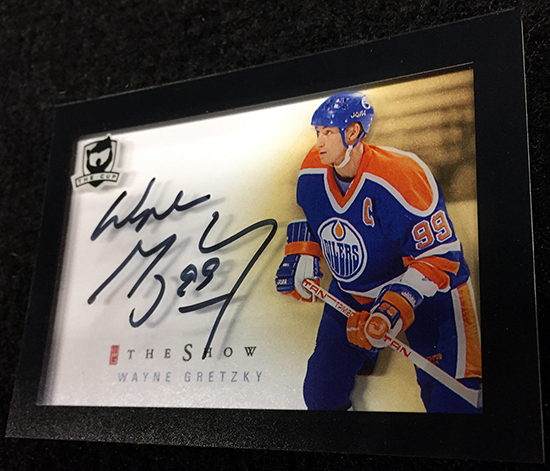 “The Show” from Upper Deck Authenticated has become a very popular collectible for fans of premium signed memorabilia. UDA makes a variety of these collectibles for different athletes and sports. When Upper Deck was looking for a new type of trading card to add to the line-up for the company’s most premium NHL® release called The Cup, the company sought inspiration from “The Show” memorabilia pieces. The result is an extremely sleek, more compact version of the full-sized memorabilia collectible. 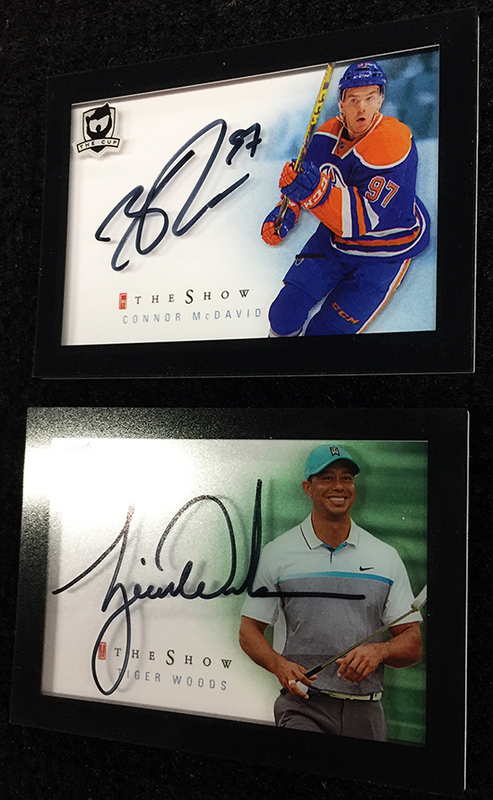 Both feature a big and bold authentic signature from the athlete while also having that unique 3-dimensional element that makes these cards something you need to see in person; something you will want to own, always. 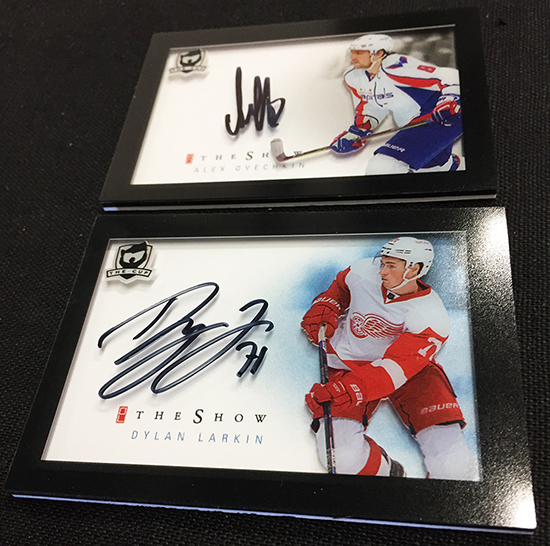 While The Cup is traditionally a hockey release, and “The Show” pieces will certainly feature incredible hockey athletes, Upper Deck uses the full power of the company’s impressive line-up of talent to make some unique autographed collectibles that every collector would covet. Where can these packs/boxes be purchased around Boston?